Canora is reaching back into New York history to bring these recipes and styles to a modern audience. “I always had it in my mind to make a turn-of-the-century grand oyster bar,” he explained. “I would go to the New York Public Library and did a boatload of research and gathered old menus from that era,” he said, describing his fascination with the oyster industry that thrived in the city’s harbors in the late 19th and early 20th century. During his research, he was struck by their sheer proliferation of oyster bars in Manhattan. “They called them oyster rooms, oyster cellars – because a lot of them were underground –, oyster saloons… there was all this verbiage around oyster bars, there were a lot of words for oyster rooms,” he said. 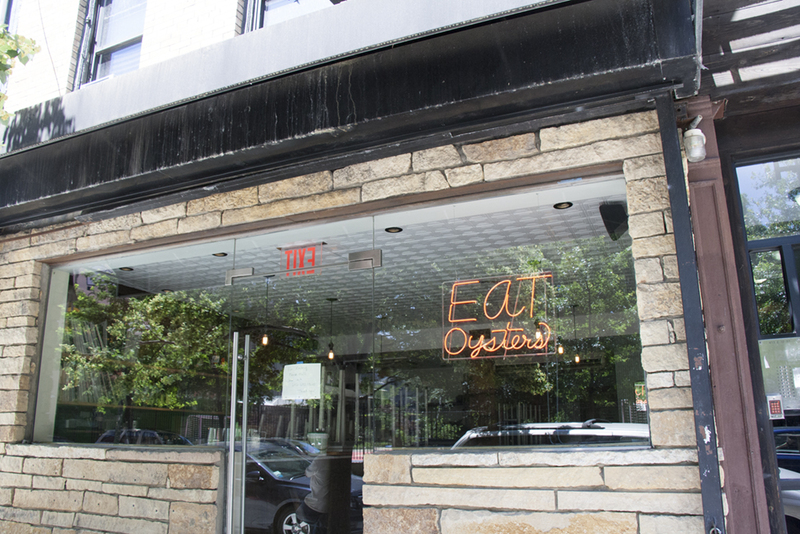 To that end, his menu does offer oysters “in every style”: baked, broiled, steamed, fried, pickled, poached, and raw. There will also be a modest selection of small plates available for those who might want to venture out of the oyster realm, including an anchovy butter served with brown bread, and a smoked bluefish pâté. As for drinks, Canora has decided to hone in on one particular style of beverage that pairs oh-so-well with oysters. “People forget that every wine-making region in the world has a form of bubbly,” he said. “There are a lot of cultures that do their own version.” As such, he’s not only including the usual suspects such as Champagne and Prosecco on the menu. There will also be Cava, a variety of sparkling red wines and rosés, as well as a solid beer and cider selection. Canora is quite active on the corner of East 12th Street and First Avenue: Zadie’s is in the space that previously held Canora’s wine bar Fifty Paces (formerly Terroir), and is just down the street from Hearth and Brodo. Zadie’s Oyster Room, 413 East 12th St between 1st Ave and Ave A, Sunday-Wednesday: 5pm-12am, Thursday-Saturday: 5pm-2am, with eventual 11:30am openings on weekends. « Albert Trummer Is All Fired Up About Sanatorium, a Place For ‘Healing With Alcohol’	» Gas Explosion Victims Sue City; ‘Inflatable Condom’ as L-Train Substitute?